‘Amistad’ was a new release in Australia in 2013. 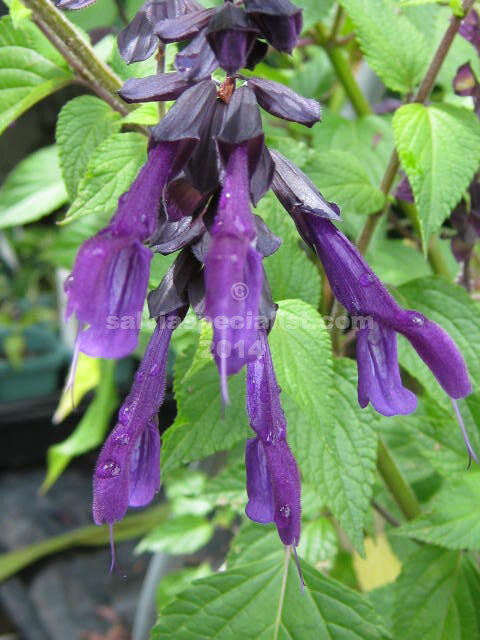 ’Amistad’ grows to two metres high and wide and has a lot of flowers that are deep purple. They are on one side of the spike only. It is similar to ‘Purple Majesty’ but the foliage is denser and hence more flower spikes. Stems and calyces are much darker than ‘Purple Majesty’. It is a good back of the border plant where its dark colour enhances other colours. It has a long flowering period from spring to autumn and into winter. Frost doesn’t seem to be a problem. It is a patented plant so I pay royalties. It should not be propagated for sale unless the royalties are paid.